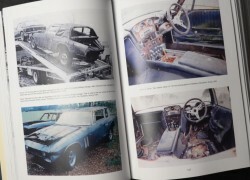 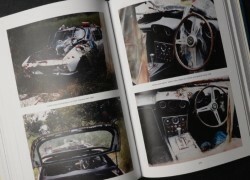 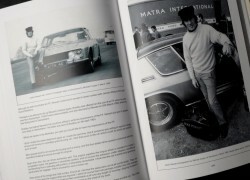 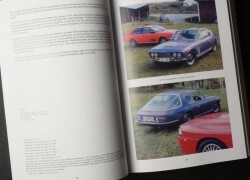 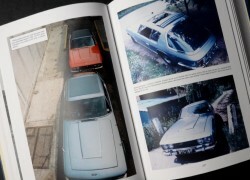 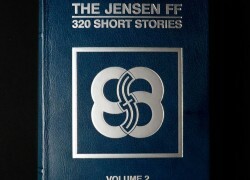 The three volumes, which make up THE JENSEN FF – 320 SHORT STORIES are the product of over 15 years extensive research, undertaken by the curator of the Museum, Ulric Woodhams. 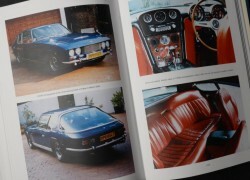 The fine leather bound volumes detail the spirit of a vibrant era, and the distinctive qualities, which made the Jensen FF aspirational and unique. 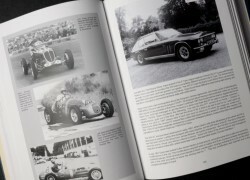 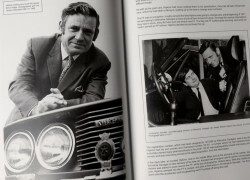 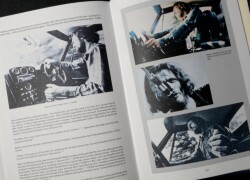 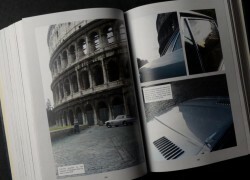 Supported by a wealth of photographs and engaging copy, the appeal of the 320 SHORT STORIES – one story for each car, extends far beyond that of the classic car enthusiast. 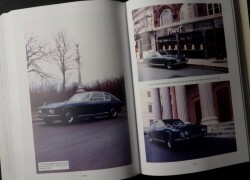 Each volume includes between 550 – 650 pages, printed on fine art paper, with period, black & white, and colour photographs to compliment the text. 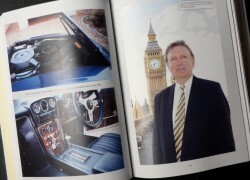 Representing the pinnacle of the bookbinders’ art, the royal blue, hand tooled first quality leather bindings, are blocked with the name of the Master Binder, Brian Settle. 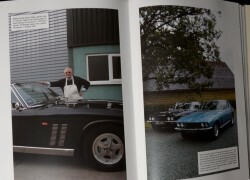 Starting a book binding apprenticeship after leaving school, Settle has been hand binding books for over 40 years. 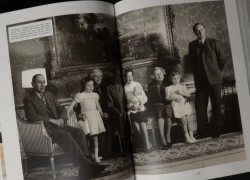 He is quick to point out the paintstaking hours of labour in completing a truly hand bound book, and the cost involved in this type of work. 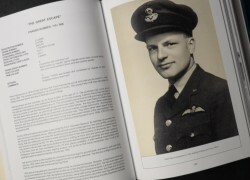 Too often a book will be offered for sale as a leatherbound book, and according to Settle, it will not be hand bound and often will not even be true leather. 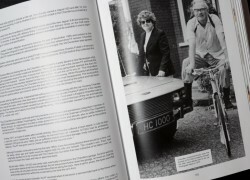 With a first quality book binders leather costing in the region of £75 (that’s just the leather without any labour cost) how can a book positioned at, say, £75 in the market place, have a binding with quality leather. 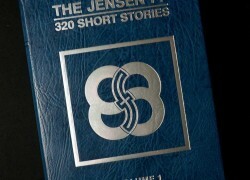 Suitably proud of his bindings, Settle states categorically that few books available today would ever match the quality of THE JENSEN FF – 320 SHORT STORIES. 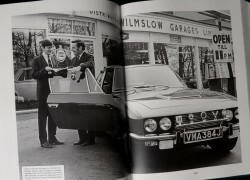 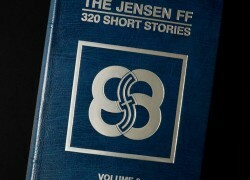 THE JENSEN FF – 320 SHORT STORIES may be ordered with an issue number to correspond with a chosen Jensen FF chassis, or with any number between 001 and 328, which were allocated to FF cars by Jensen Motors. 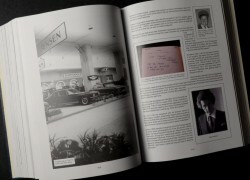 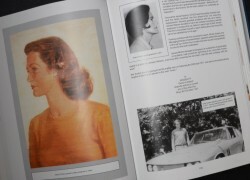 For preservation, the book is stored within its own heavy duty archival slipcase.